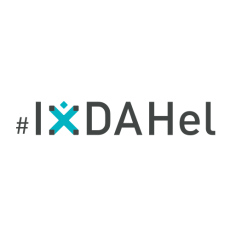 IxDA Helsinki is the local Finnish chapter for Interaction Design Association IxDA. We're a non-profit, loosely organized professional community. Our aim is to connect the local design community and promote modern interaction design practices in Finland through monthly meetups and other activity.